Onlookers observe as marchers move through the streets in the annual Martin Luther King, Jr. Commemorative March in Atlanta. It’s early Monday morning, and instead of the usual gridlock that mires Atlanta streets most mornings the Sweet Auburn neighborhood is preparing for something else entirely. 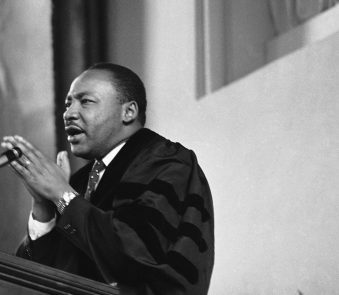 This year marks 50 years since Dr. Martin Luther King Jr. was assassinated and The King Center has a full day of programming scheduled, most of which is slated to take place in the heart of Atlanta’s Sweet Auburn neighborhood. From 501 Auburn Ave. to the Sweet Auburn Curb Market, this neighborhood is rich with culture and alive with history; Atlanta itself would not be the same city without Sweet Auburn’s influence. Though the landscape of Sweet Auburn was quite different when a young Dr. King walked its streets, its spirit was no less alive. By the time Dr. King was born, Auburn Avenue was considered by many to be the wealthiest African-American street in America. Indeed, the mile-and-a-half neighborhood saw the birth of many of the first African-American owned businesses, places of worship, and cultural landmarks in the United States. Atlanta Life Insurance Co., founded in 1905 and the largest black-controlled stockholder life insurance company, occupied a two-story building on Auburn Avenue. WERD, the first black-owned and operated radio station in the U.S. began in the heart of Sweet Auburn, as did The Atlanta Daily World, the first daily African-American newspaper in existence. The Royal Peacock Club gave B.B. 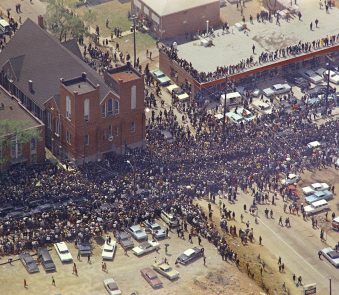 King, the Four Tops and Gladys Knight a stage when the rest of the city wouldn’t, and Big Bethel AME helped Sweet Auburn both spiritually and culturally. In short, Sweet Auburn gave those Atlanta citizens, subject to both social and economic segregation elsewhere, a place to thrive. Alexis Scott knows this well. 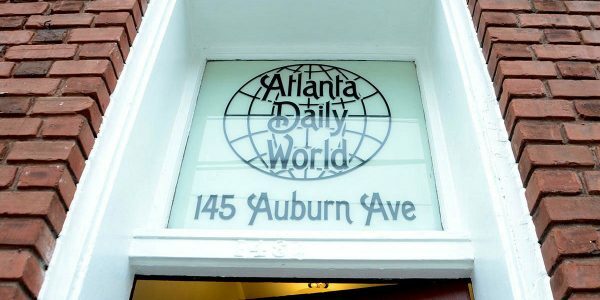 Her grandfather founded The Atlanta Daily World, and she spent her childhood roaming its hallways and experiencing Sweet Auburn’s renaissance first-hand. Dr. King’s influence can still be heavily felt, and his presence shaped the neighborhood into what it is today. 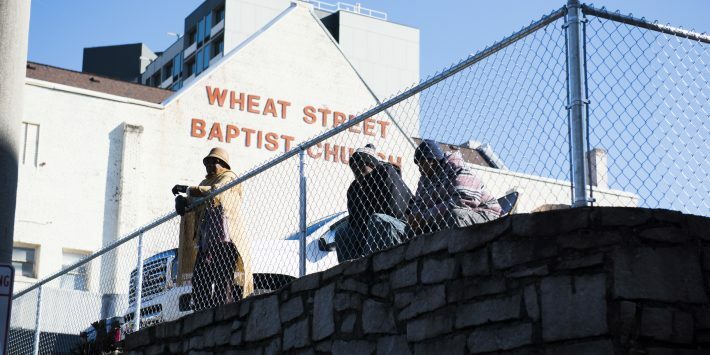 Sweet Auburn fell into disrepair in the years after Dr. King’s death; crime and abandonment threatened to destroy the area and its rich cultural history. Scott returned to Sweet Auburn 30 years later as ADW’s publisher and remembers how drastically the landscape had changed. The ADW building was gone, as well, damaged beyond repair in the 2008 tornado. Sweet Auburn’s renaissance began in the early ’90s with the revitalization of Dr. King’s childhood home; the Historic District Development Corporation worked tirelessly to improve the community and make it shine once again. Today, Sweet Auburn is a destination high on the list of tourists and residents alike. Condessa Coffee lives in the old Atlanta Daily World Building. An art gallery occupies the historic Atlanta Life Financial Group building across the street. The APEX Museum sits a few doors up the road, offering a unique African-American history lesson with videos, art, sculpture and more. 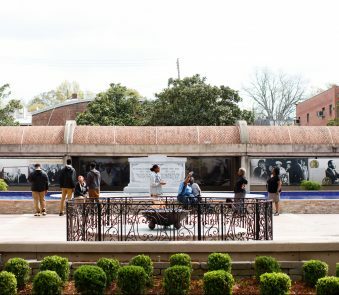 Murals and art pieces dedicated to civil rights icons dot the landscape, and many of the buildings that housed African-American owned businesses still stand. 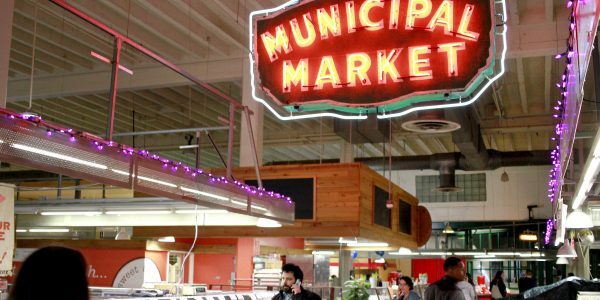 The Sweet Auburn Curb Market, selling local wares since 1923, hustles and bustles daily, and a variety of new restaurants provide a delicious juxtaposition to classic country produce. Of course, the King Center and the Martin Luther King Jr. National Historic Site are open for tours and educational experiences daily. Historic shotgun houses line the side streets and provide both low-income housing and tourism opportunities. “Sweet Auburn has come back to life as a college town thanks to Georgia State University,” Scott said. She loves the way those old buildings have transformed with trendy new shops, restaurants and apartments. It’s as though a fresh breath has whistled through the old trees, and the sky’s the limit. This morning, the steps of Ebenezer Baptist Church are full; Atlanta’s finest have turned out to the annual commemorative service and will, after the service, head to the King Week Holiday March & Rally. No matter how many years pass, the mission of Dr. King lives on and his influence can be felt nowhere more than Sweet Auburn.